Glan-Y-Mor in Aberystwyth sleeps between 4 and 6 people, with the accommodation being caravans. Glan – Y – Mor Leisure Park is nestled on the shores of the sheltered Clarach Bay Beach which is flanked by steep cliffs offering stunning views and just a short walk on the Welsh Coast Path (30 mins) to Aberystwyth or for the more adventurous a (90 min) walk to the seaside village of Borth. An ideal base for exploring the treasures of this area which is rich in History and Heritage offering views of Devils Bridge and the Cliff Railway. The Ysytwyth Cycle trail and Aberystwyth golf course are only 3 miles from the park with the stunning Ynyslas Beach and Nature Reserve only a short drive away. Glan – Y – Mor Leisure Park has an indoor swimming pool, bowling lanes and a bar on-site. If you want to find out what other people have said about Glan-Y-Mor, read the reviews on Glan-Y-Mor for more information. And, for those last minute bargains, have a look at some of the special offers available at Glan-Y-Mor. Brand new for 2019. Modern and stylish caravan with one double and one twin. Spacious lounge area leading to an open plan kitchen and dining area. Decked area with garden furniture. No pets. Brand new for 2019. Modern and stylish caravan with one double and one twin. Shower. Spacious lounge area leading to an open plan kitchen. Patio doors leading to a decked area with garden furniture. Brand new for 2019. Modern and stylish caravan with one double and one twin. Spacious lounge area leading to an open plan kitchen. Decked area with garden furniture. No pets. Brand new for 2019. 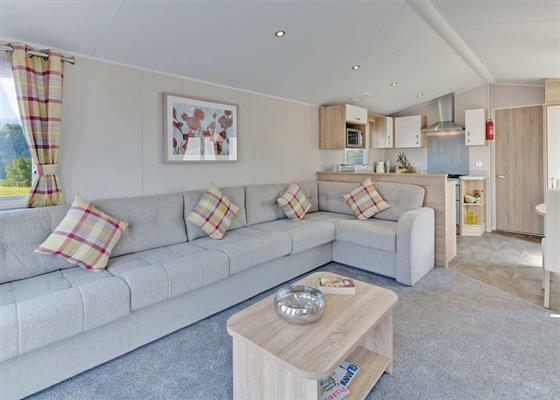 Modern and stylish caravan with one double and two twin. Spacious lounge area leading to an open plan kitchen. Decked area with garden furniture. No pets. Find out about Glan-Y-Mor, including prices and availability. There aren't currently any special offers at Glan-Y-Mor however, the special offers shown below are all on parks within 30 miles of Glan-Y-Mor - so you may find these useful. 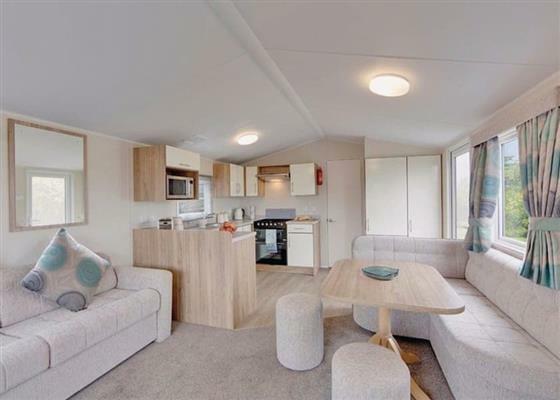 Holiday at Superior Caravan 6 in Dyfed starting on Saturday 21 September 2019 for 7 nights. 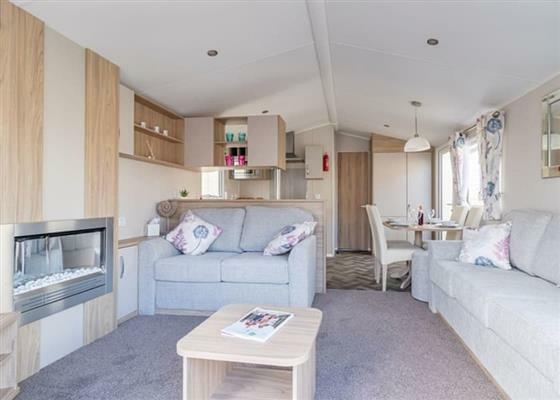 Holiday at Superior Caravan 8 in Gwynedd starting on Saturday 21 September 2019 for 7 nights. 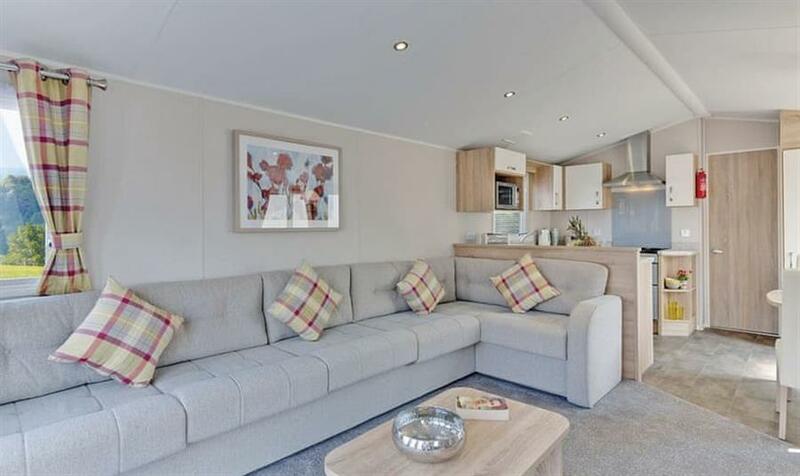 Holiday at Comfort Caravan 4 in Gwynedd starting on Saturday 28 September 2019 for 7 nights. 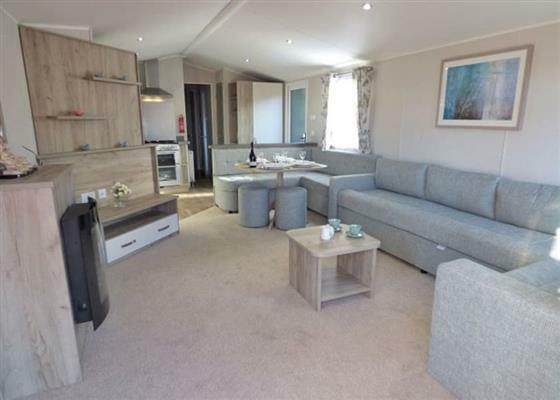 Holiday at Superior Caravan 6 in Dyfed starting on Saturday 28 September 2019 for 7 nights. There are 91 holiday parks within 5 miles of Glan-Y-Mor. Upper Close in Walton, Powys, and sleeps 8 people. 43 miles. Acanthus Cottage in Welshpool, Powys, and sleeps 4 people. 44 miles. Little Brampton in Clunbury, Shropshire. 48 miles. The Owl House in Welshpool, Powys, and sleeps 2 people. 41 miles. Oaklands in Dolgellau, Gwynedd. 24 miles. Minallt in Pwllheli, Gwynedd. 39 miles. The Old Railway Tavern in Clun, Shropshire, and sleeps 6 people. 48 miles. White Hopton House in Sarn, Bishops Castle, and sleeps 12 people. 39 miles. Treburvaugh House in Knighton, Powys, and sleeps 16 people. 41 miles. Bwythyn Glas Y Dorlan in Llandeilo, Dyfed. 38 miles. Glandwr Terrace in Blaenau ffestiniog, Gwynedd, and sleeps 3 people. 39 miles. The Manor House at Plas Meini in Llan Ffestiniog, Gwynedd. 37 miles. Gwardolau Cottage in Rhayader, Powys, and sleeps 6 people. 24 miles. Hendy in Caernarfon, Gwynedd, and sleeps 6 people. 47 miles. Maesoland Farm House in Laugharne, Dyfed, and sleeps 8 people. 47 miles. Llofft Allan in Ardudwy, Gwynedd, and sleeps 2 people. 25 miles. Llangain Farmhouse in Wye Valley, Herefordshire, and sleeps 8 people. 49 miles. Cefn Colwyn Barn in Caersws, Powys, and sleeps 4 people. 25 miles. Fron Rhydwen in Narberth, Pembrokeshire, and sleeps 6 people. 48 miles. Crabapple Cottage in Oswestry, Shropshire, and sleeps 4 people. 48 miles. Craig Y Rhos in Machynlleth, Powys, and sleeps 6 people. 16 miles. Llwyn Celyn in Newport, Dyfed. 44 miles. Bryn Refail in Pwllheli, Gwynedd, and sleeps 10 people. 38 miles. The Cauldron in Blaenau Ffestiniog, Gwynedd, and sleeps 2 people. 39 miles. Hendre Barn Mawr in Abergynolwyn, Gwynedd, and sleeps 8 people. 15 miles. Coedfryn in Llandeilo, Dyfed, and sleeps 8 people. 33 miles. Longlands in Hay-on-Wye, Herefordshire, and sleeps 10 people. 46 miles. The Town House in Bala, Gwynedd, and sleeps 8 people. 38 miles. Hirros Hall Longhouse in Welshpool, Powys, and sleeps 6 people. 32 miles. Bwthyn Y Mynach in Carmarthen, Dyfed, and sleeps 8 people. 39 miles. Criftin Farmhouse in Bishops Castle, Shropshire, and sleeps 8 people. 49 miles. Pottre Farmhouse in New Quay, Ceredigion, and sleeps 8 people. 21 miles. Glandwr Country House in Cardigan, Wales, and sleeps 12 people. 28 miles. Bedw Barn in Newtown, Powys, and sleeps 14 people. 31 miles. Craigllwyn Farmhouse in Oswestry, Shropshire, and sleeps 11 people. 48 miles. Far Hill Cottage in Trewern, Welshpool, and sleeps 5 people. 46 miles. Arosfa Emlyn in Newcastle Emlyn, Carmarthenshire. 32 miles. The Coach House in Lampeter, Wales, and sleeps 20 people. 20 miles. Porth Colmon Farmhouse in Pwllheli, Gwynedd, and sleeps 6 people. 39 miles. Glanyrafon Bungalow in Rhayader, Powys, and sleeps 6 people. 25 miles. Wendon in Pwllheli, Gwynedd. 34 miles. Bronawel in Oswestry, Shropshire, and sleeps 11 people. 49 miles. Llwyncrwn Farm Cottages in Llandysul, Carmarthenshire, and sleeps 2) people. 31 miles. Holly Farm Cottage in Llandrindod Wells, Brecon Beacons, and sleeps 6 people. 32 miles. Trederwen House in Welshpool, Powys, and sleeps 12 people. 45 miles. Sisial Y Llyn in Bala, Gwynedd, and sleeps 9 people. 38 miles. Penlan House in Barmouth, Gwynedd, and sleeps 10 people. 20 miles. Tynrhyd Retreat in Aberystwyth, Ceredigion, and sleeps 28 people. 9 miles. Maes Rheidol in Aberystwyth, Dyfed, and sleeps 7 people. 5 miles. Hindwell Farmhouse in Presteigne, Powys, and sleeps 10 people. 43 miles. Trecift in Cardigan, Pembrokeshire, and sleeps 10 people. 34 miles. Bodrydd in Rhoshirwaun, Llyn Peninsula, and sleeps 14 people. 37 miles. The House in the Hills in Hay-on-Wye, Brecon Beacons National Park, and sleeps 10 people. 49 miles. Alexanderstone Manor in Brecon, Powys, and sleeps 12 people. 45 miles. Devil's Bridge Retreat in Aberystwyth, Cardiganshire, and sleeps 28 people. 9 miles.